Having a baby might be the most rewarding thing imaginable but if you don’t have the right equipment, simply leaving the house becomes a monumental struggle not the joy it should be. We understand that pain from personal experience. When you’re looking for the best baby stroller, the snag is not a lack of information. The reverse is true. There’s too much information. The problem is it’s either inaccurate or incomplete. We’re here to change that and signpost a path and help you get the most appropriate stroller for your needs without eating up too much time. The baby stroller market is glutted and there’s a bewildering amount of choice. It can seem more hassle to buy a pram than a house or a car but it needn’t be that way. Before anything else at all, we’ll highlight the main types of stroller at your disposal. After that, we’ll guide you through what to consider when you’re on the buying trail. Once you’re done with this guide, we’ll curate the best baby strollers by category so you’ve got everything you need to get the right kit without needing to leave home. Then, when you’ve got your stroller, you can leave home with your kids ready for fun not an uphill struggle. Well, at least until you hit the mall and they start hassling you for the latest toys they want. It pays to develop a working knowledge of the various types of baby strollers before you even think of compiling a shortlist. We won’t go into too much detail at this stage but take a glimpse at the various strollers so you can get an initial feel for what kind you need then we’ll give you a few pointers on each of them one-by-one. This type of regular, full-sized stroller is remarkably versatile. Whether you’re picking your way down a busy street or getting some fresh air in the park, these strollers are multi-purpose. The other key selling point is that a traditional stroller is capable of taking you and your baby on the journey through to those first steps without needing to invest in a new stroller. Durable, surprisingly nimble (despite their size) and great overall value, if you’re on a tighter budget, it makes sense to consider a traditional, full-sized baby stroller. Seats tend to be comfy and perfectly padded. With a generous recline, you’ll also be able to position the seat to face forward or backward. Another bonus is that you can usually attach a car seat to this type of stroller, too. On the flipside, that extra weight can be rather awkward if you need to hop on and off public transport and in some cases, they might not be much use for newborns. As with all strollers, functionality varies considerably from manufacturer to manufacturer so make sure you do your due diligence. Modular strollers are also commonly labelled combination strollers. Much like a traditional style, you’ll be able to cope with your growing child and evolving needs without needing to dig deep and purchase more equipment. Given the price of diapers, milk and other baby expenses, that’s a welcome bonus. You’ll often be able to flip the seat so it reclines practically flat when you need that positioning. Some of these modular strollers can take a car seat, although you’ll need to pick up that seat separately along with an adapter. Combination strollers can also include bassinets. With this type more than most, functionality varies dramatically from brand to brand so take your time exploring all the options at your disposal and buy in line with that. The significant drawback of modular strollers is the cost of the stroller itself along with accessories and add-ons. If you can afford it, though, combination strollers are well worth further investigation. No prizes for guessing where these strollers win out! If you’re wondering where the alternative name comes from, it’s a reference to the way the handles flare out much like the end of an umbrella. 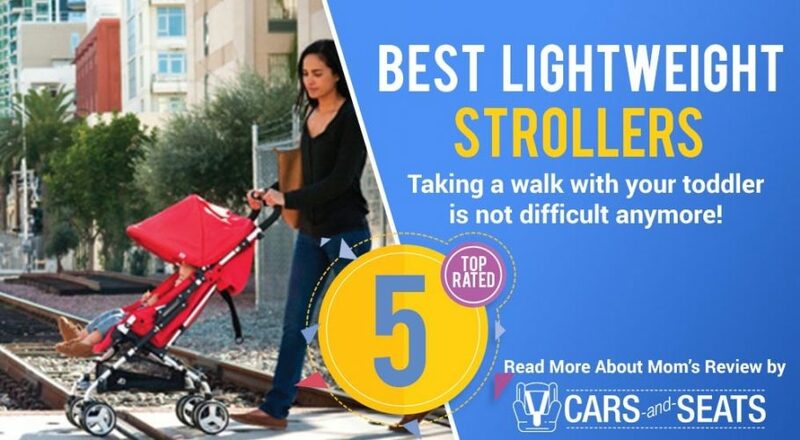 Once you’re baby is capable of sitting upright, these super-light strollers make perfect sense whether you’re zipping in and out of a few shops or hitting the road and need something portable and easily foldable to take on your trip. Plenty of umbrella strollers work well with car seats and some of the better models throw in an adapter to help mitigate your spiraling expenses. The key benefit of these lightweight strollers can also turn itself into a drawback, though. Once your baby starts growing, they might feel slightly cramped. Wheels leave something to be desired and they also don’t make a good fit until your newborn hits 6 months or so. A poor recline is the other negative so as with all strollers, it’s a question of balancing the equation and seeing which one ticks most boxes. As the name makes abundantly clear, travel system strollers offer you and your baby an integrated solution when you’re on the move. Alongside the standard stroller, you’ll also get a car seat with a base so you’ve got everything you need in one neat package. The inbuilt winner with this all-in-one system is the ease with which you can move your sleeping bundle of joy directly from your car into the stroller without waking them up. The primary disadvantage of travel systems is the overall bulk. While the better models are still fairly easy to move around, choose unwisely and you’ll end up with something unwieldy that’s likely to gather dust in the closet and force you to buy another stroller. Luckily, we tested a range of these travel systems and we chose the best 5 for your attention. Head to our Best Travel System Strollers for the lowdown. A relatively recent addition to the baby stroller market, this is a car seat with a foldable stroller frame that goes under the seat. As with the travel system, you can cut down on equipment without compromising the needs of you or your baby. That said, there’s an extremely limited choice of models and you’ll find storage almost completely non-existent. Think twice before investing in this combo stroller and be sure to check our reviews before wading in. The last major category of single baby strollers is a car seat carrier. Here you’ll get nothing but a frame and the car seat slots inside. Some will accommodate just about any type of seat while others lock you in to their own brand. The ease of use and ability to shift your baby from car to frame without disturbing them are the principal benefits of car seat carriers. While primarily single strollers, you can also find this nifty configuration with room for twins. Car seat carriers are inexpensive while also lightweight and compact. The downside is that you’ll get limited lifespan from this since the frame won’t cut much ice after your child’s first birthday. You’ve got fewer configurations to wade through when you’re hunting down a more specialized stroller for more than one child. Whether you’ve got twins, triplets, or a couple of siblings needing simultaneous transport, sometime a single stroller just doesn’t cut it. You’ve got 4 main categories here, and you should take the time to think about which makes best sense for you rather than rushing in. This style of double stroller has a single frame with a pair of seats for your beloved babies. You’re better off avoiding this type of stroller unless you’ve got twins or children very close together in age. You’ll find them tougher to maneuver with babies of differing weights and sizes. You can fine-tune the reclining angles of each seat independently. If you want to use a car seat, you’ll need to check first that the model you have in mind allows this. In most cases, they’ll only accept one seat anyway so you need to think carefully if this gels with your needs. You should also think about your likely movements since accessing elevators can be awkward and sometimes even fitting through tighter doorways is problematic with this configuration. Double tandem strollers have one seat slotted behind the other rather than side-by-side seats. This is a space-saving solution but comes at the cost of limited reclining potential for the front seat. With some of these models, you can arrange the seats so your children are facing one another, obviously far better than having one staring at the back of a seat. How about if you’ve got triplets? Well, some of these double tandems can accommodate three children so you’re in luck! Doorways and elevators are, quite literally, child’s play with this variety of stroller. You’ll need to check closely for compatibility with car seats and even when folded, this kind of stroller is pretty sizeable. Another issue is bumping up over curbs since you’ll need to physically lift the stroller. Legroom in the bank is limited, too. These 3-wheeled strollers with a fixed front wheel have oversized tires and highly effective brakes. The wheels swivel as well and they’re capable of traveling over pretty rough terrain. 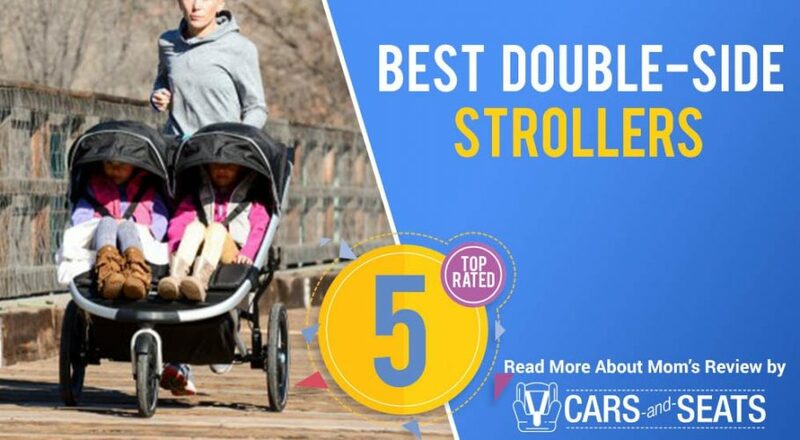 Whether you’re jogging or simply power-walking off-road, these strollers are comfortable, user-friendly and suitable for carrying bigger, heavier children with ease. You should note that the fixed front wheel inhibits maneuverability and these hefty strollers are not easy to cram into the trunk of your car either. They also call for a little maintenance, notably with checking the tire pressure. For committed runners, though, this type of jogging stroller is indispensable. Your best bet if you need a stroller for triplets is to search for the best double tandem stroller that’s good for 3 toddlers. Check out our reviews for more specific information. 1) Intended Usage: Where Will You Use Your Baby Stroller? How and where you plan to use your baby stroller will dictate the style that makes the best fit. If you live in a crowded city with packed streets and underground trains to think about, your needs will differ wildly from someone living in the country and driving everywhere they go. Take into account where you live, where you’ll go and how much equipment you’ll be carrying with you. Then refer to the various stroller configurations above to help you laser in on the most appropriate stroller for your needs. Price is perhaps the next element you should focus on. While it will obviously always be a factor in your buying decision, it should never be the deciding factor. Not only will you be less likely to overspend if you fix a budget in advance, you’ll also whittle down the boggling number of options at your disposal without needing to lift a finger. Even if you fully intend to buy your stroller online, it’s always a smart move to take it for a quick physical test. There’s nothing wrong with popping to the store and doing a bit of “active window shopping” then heading home to order it up online! Think about steering, maneuverability and the kind of terrain you’ll be navigating. 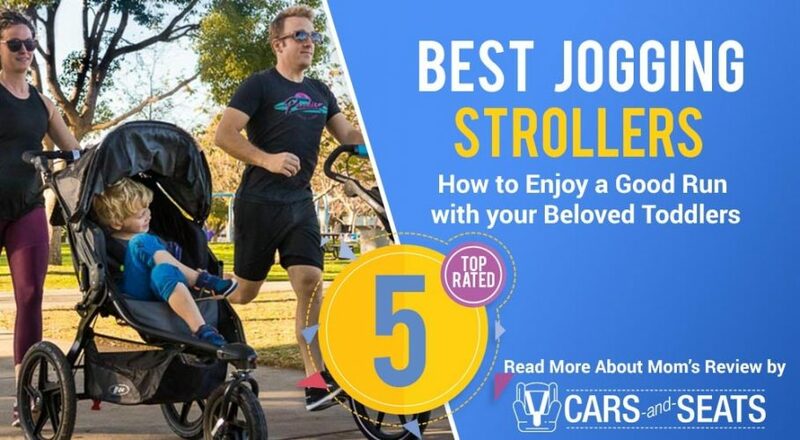 If you can’t test drive the stroller you have in mind, read plenty of honest user reviews and look out for how user-friendly it appears to be. When people have parted with their hard-earned money for any product, they’re generally willing to share their experiences, both positive and negative. Size matters with baby strollers. Again, your intended usage determines in which direction you need to consider size. If you only plan to head out on gentle walks to the local park or for a country walk after popping the stroller in the back of your spacious Range Rover, bigger is better. If, on the other hand, you see yourself zooming around busy, narrow streets or heading up down flights of stairs, a lightweight stroller makes far more sense. 5) Do You Really Need Multiple Baby Strollers? Sometimes, you might be initially tempted to buy more than one baby stroller to cover all eventualities. If you’re thinking of doing this – and there’s nothing wrong with that, of course – take the time to first ponder whether a well-chosen all-purpose stroller might save you from needing multiple models. Check for harnesses and look out for strollers with five-point rather than three-point harnesses. The brakes should be effective and easy to engage or disengage. Canopies are essential to keep your toddler safe from those piercing rays. We also can’t emphasis strongly enough the importance of checking for any potentially lethal sharp edges. While we’ve dealt with safety last, it goes unsaid it should be your primary concern when looking for the best baby stroller. 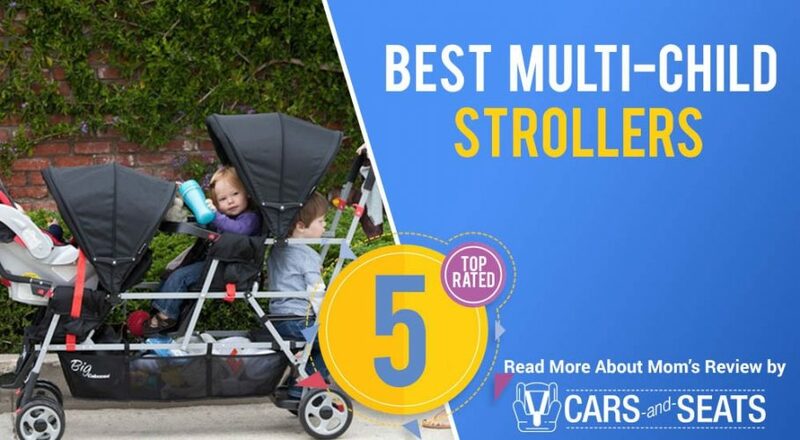 Now you’ve got a great working knowledge of baby strollers and what to prioritize, head over to our collection of baby stroller reviews for a curated look at the very best models by category. We’ve done everything we can to make your buying decision painless every step of the way!